​ Empower individuals, teams and organizations to intelligently discover, share, and collaborate on content from anywhere and on any device. ​Ever changing business conditions require you to be agile, and that means investing in solutions that provide reliability and choice. 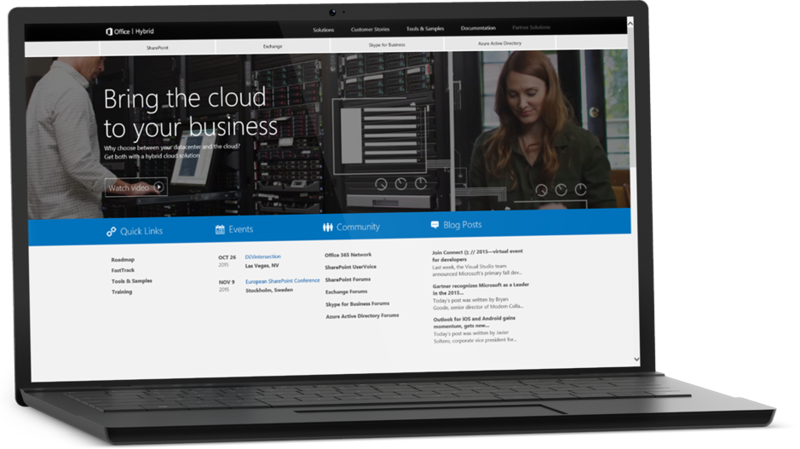 SharePoint Server 2016 provides the flexibility to tailor deployments based on your unique business needs. ​Making decisions faster and staying in contact are critical for making any organization more effective. Your ability to access information on the go is now a workplace necessity. 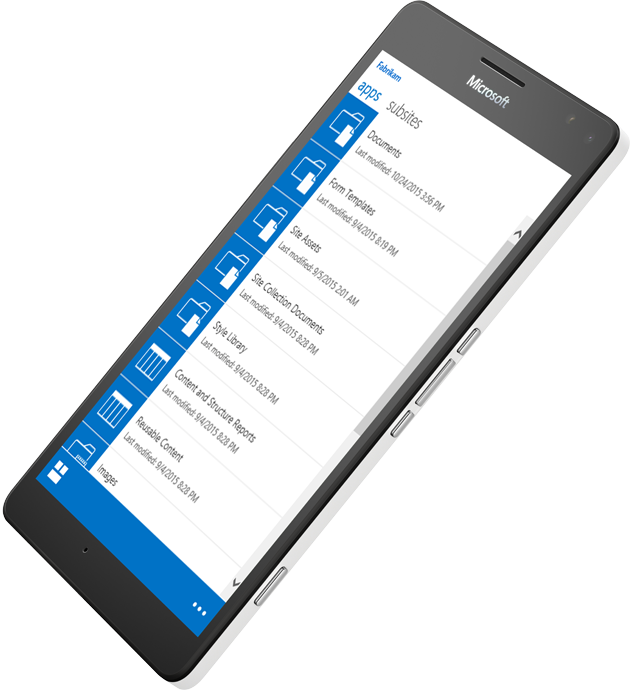 SharePoint Server 2016 makes file storage and document collaboration more people-centric, with touch-based experiences across devices and improved mobile access to content, people, and applications. SharePoint Server 2016 improves user experiences and capabilities based on innovations in Office 365, available either as part of your on-premises deployment or through a hybrid implementation of SharePoint Server 2016 and Office 365.